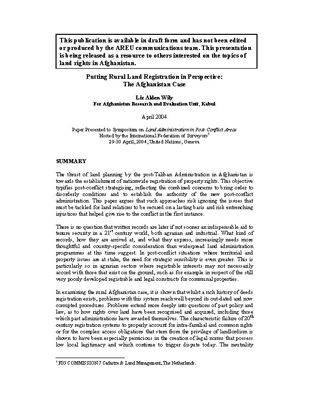 The thrust of land planning by the post-Taliban administration in Afghanistan is toward the establishment of nationwide registration of property rights. 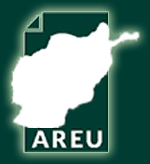 This objective typifies post-conflict strategising, reflecting the combined concerns to bring order to disorderly conditions and to establish the authority of the new post-conflict administration. This paper argues that such approaches risk ignoring the issues that must be tackled for land relations to be secured on a lasting basis and risk entrenching injustices that helped give rise to the conflict in the first instance.